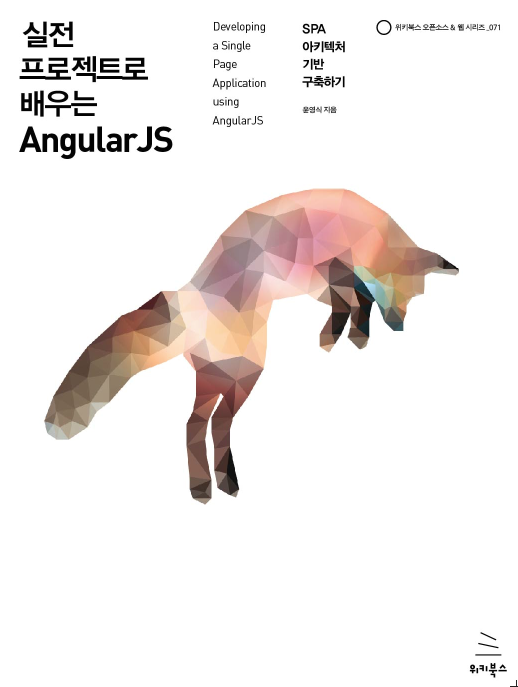 AngularJS는 구글이 후원하고 있고 2013년 구글I/O에서도 2개의 세션에서 소개가 될 정도로 관심이 높은 차기 웹 클라이언트단의 애플리케이션 개발을 위한 프레임워크이다. MVC -Model View Controller - 기반으로 역할을 나누고, SoC (separate of concer)이라는 관심의 분리를 위하여 모듈에 대한 DI (Dependency Injection)을 사용한다. 1. AngularJS 어떻게 배워야 하지? + bower_components : bower에 의해서 설치된 client에서 사용하는 library들. + controller/main.js 은 AngularJS의 컨트롤러 파일이다. partial html 파일이 여러개 있더라도 동일한 controller를 사용할 수 있다. - RWD는 Responsive Web Design의 약어로 반응형 웹 디자인이라고 한다. RWD의 목적은 사용자에게 최적의 뷰 경험을 제공하는데 있다. 하지만 Bootstrap 이외에 GroundWorks, Zurb Foundation, Amazing Web Library 들도 있으니 구미에 맞는 것을 선택한다. - Bootstrap을 사용하게 되면 몇가지 유용한 도구와 서비스들이 있다. - main.html 전체 내역을 다음과 같이 바꾼다. bootstrap의 container css class로 감싸준다.